Don’t like the cold tones of silver and chrome? Find gold and brass furnishings appear too tacky? Sophisticated copper is the element for you. 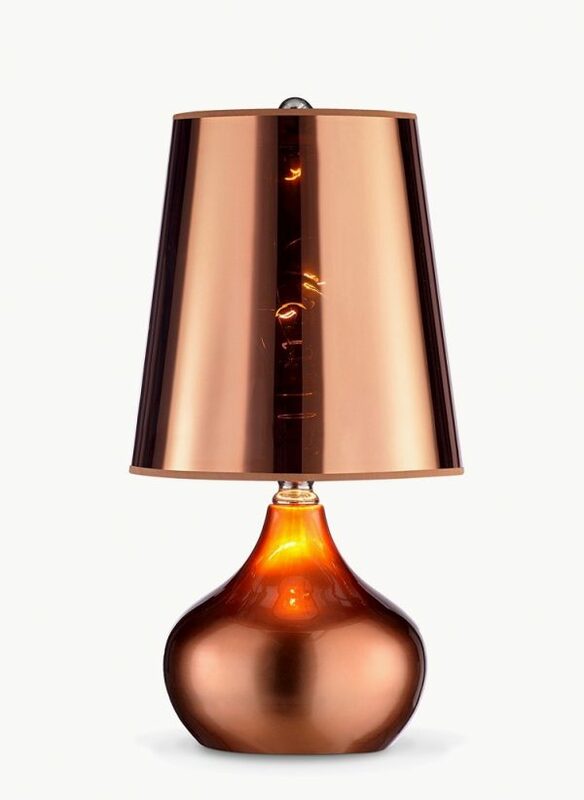 We’ve combined the traditional table lamp with unusual copper fixtures, bringing you a stellar top 36 list of lamps to make your interior shine. Whether bedded on a round of marble, levitating off a walnut wood block or grounding an up-ended, blown-glass tulip, their twisting forms are perfect on your office desk or bedside table. Take a peek at our best selection to snag one of these copper beacons for yourself. 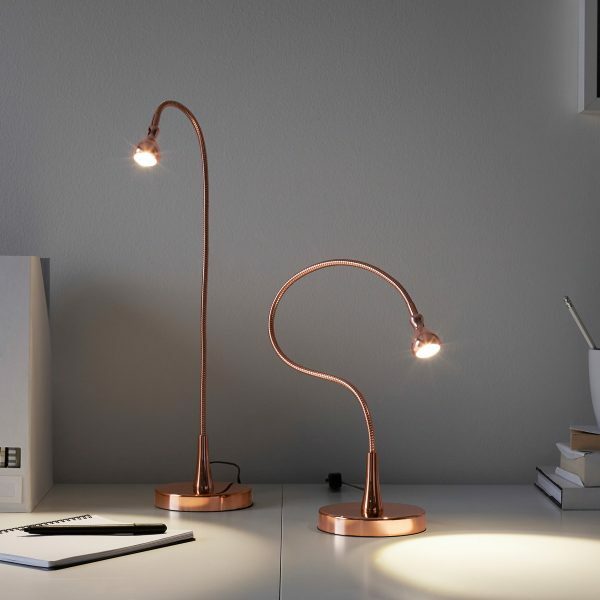 Decorative Copper Pipe Desk Lamp: Wrap your lightbulb inside your lamp. This fixture, handmade in Turkey, creates triangles out of polished copper, while its Edison bulb dims inside its metal geometrics. 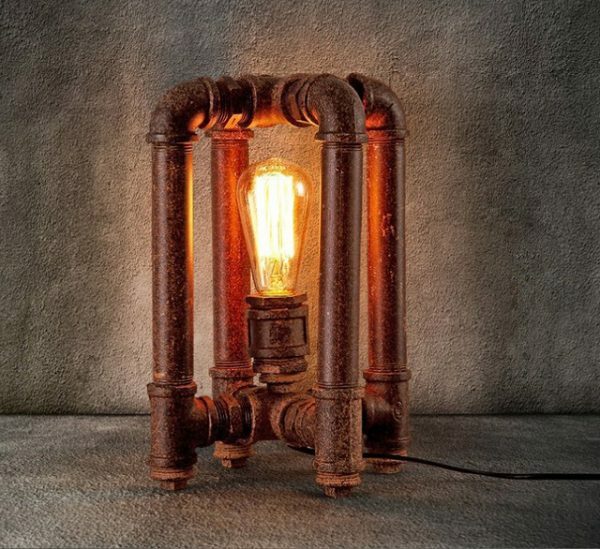 More Amazing Pipe Lamps: Enhance your steampunk home décor, with a plethora of copper piping. These lighting options wind their forms around temperature gauges, lampshades and faucets to trick your eye into seeing the industrial. 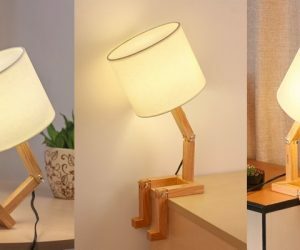 Giraffa 13″ Desk Lamp: Want a lamp that looks a little different? This perfectly-balanced light can turn its shade 360 degrees, dim its lights and provide intense brightness with LEDs. 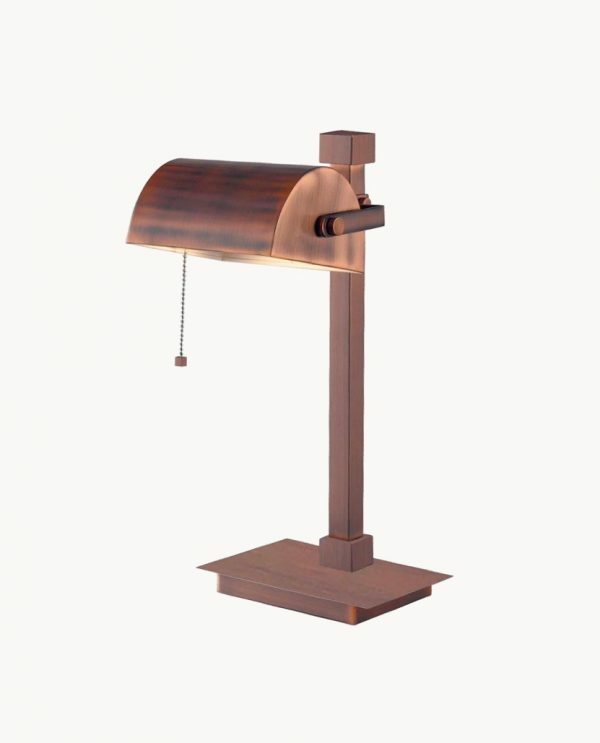 Matte Brushed Copper Finish LED Task Lamp: Have office documents that need illuminating? This straight-up table lamp provides a steady stream of light with its three-way touch switches. 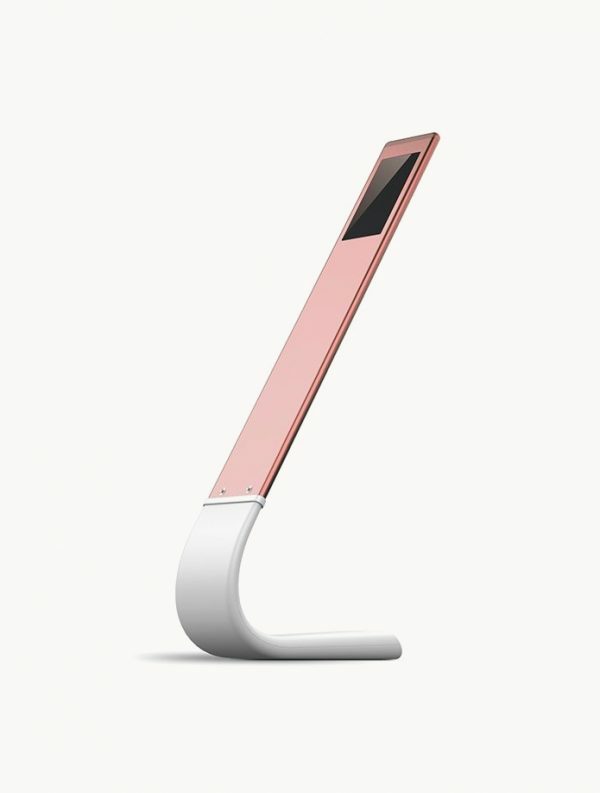 LED Desk Lamp With Adjustable Color Temperature: Go more modern. This rose copper-coloured one piece can adjust its temperature using up to three different shades. 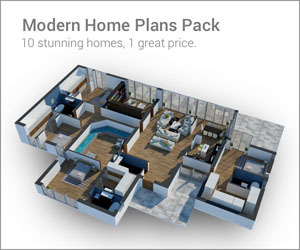 Recharge it via its USB port, or set a new mood using its six-way dimmers. 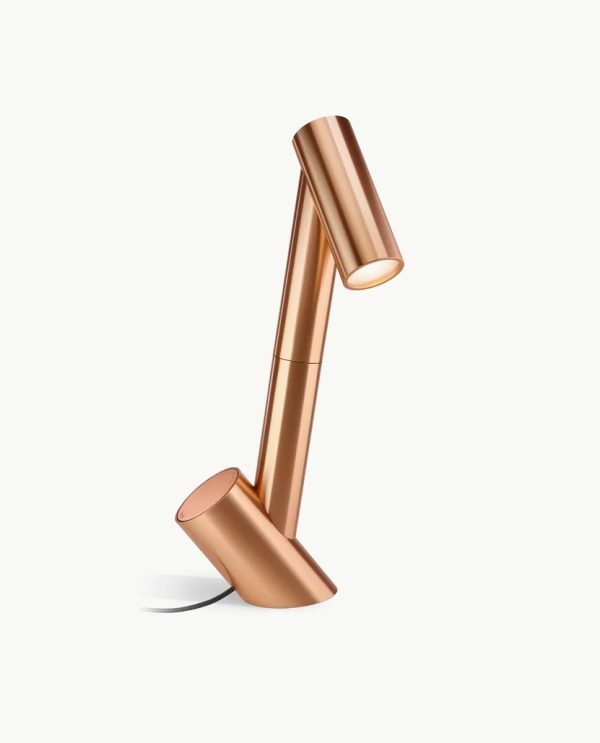 IKEA Copper Finish Gooseneck Work Lamp: Want a lamp you can twist and turn? 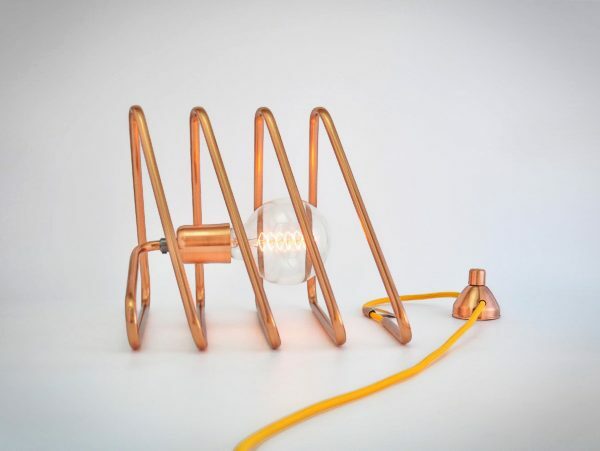 Make it straight or worm-like, with these copper-hued lamps with bendable necks. 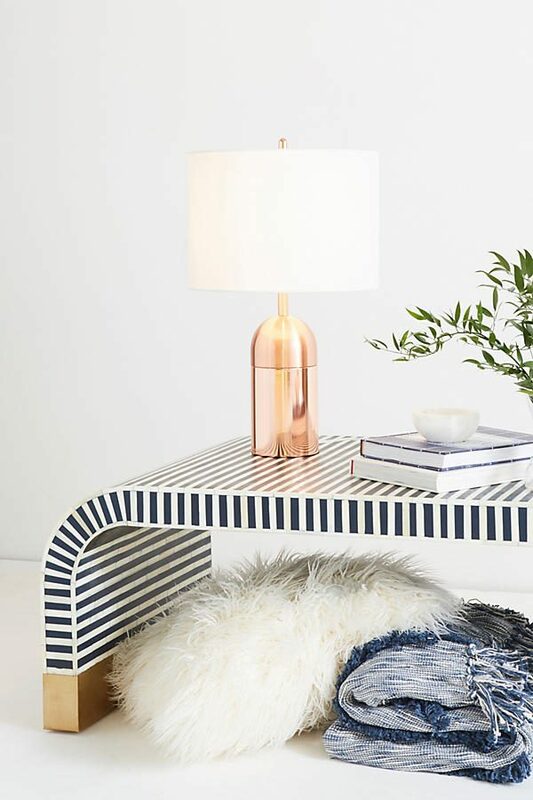 Winding Course Copper & Marble Table Lamp: Round the neck forever. 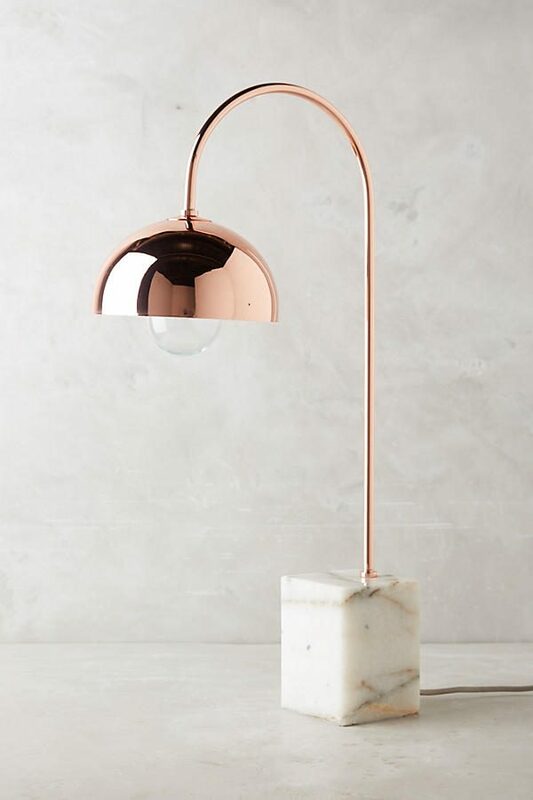 This classy little gem is perfect for your bedside table with its copper shade, brass pole and marble base. 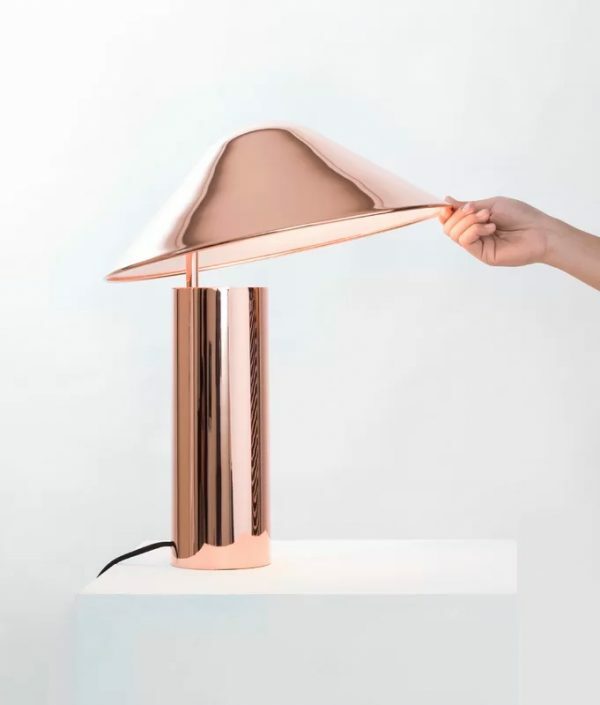 Modern Copper Desk Lamp: Get the lampshade no one else’s home is boasting. This spoon top-shaped light makes a remarkable feature on a hallway or entrance table. Bludot Punk Lamp: Get something sturdy and stylish to provide your light. This powder-coated steel mushroom uses two light bulbs and a solid walnut switch atop. 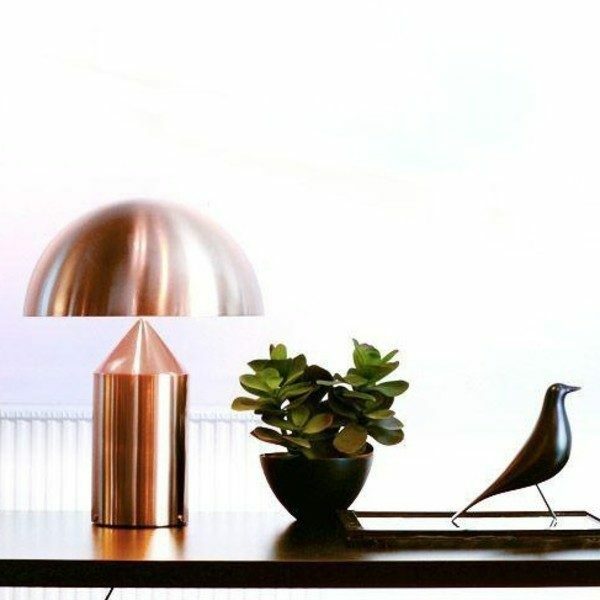 Damo Copper Lamp: Lift the lid on what gets your lamp burning. 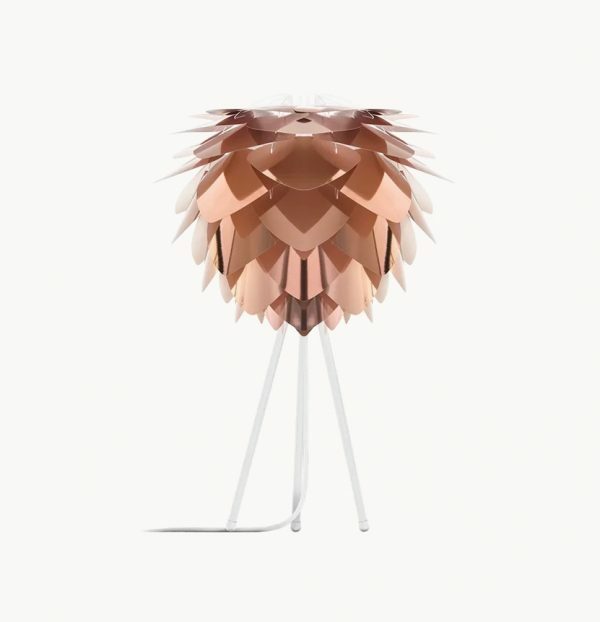 This copper-coloured lamp lifts its shade to the side to guide you in. 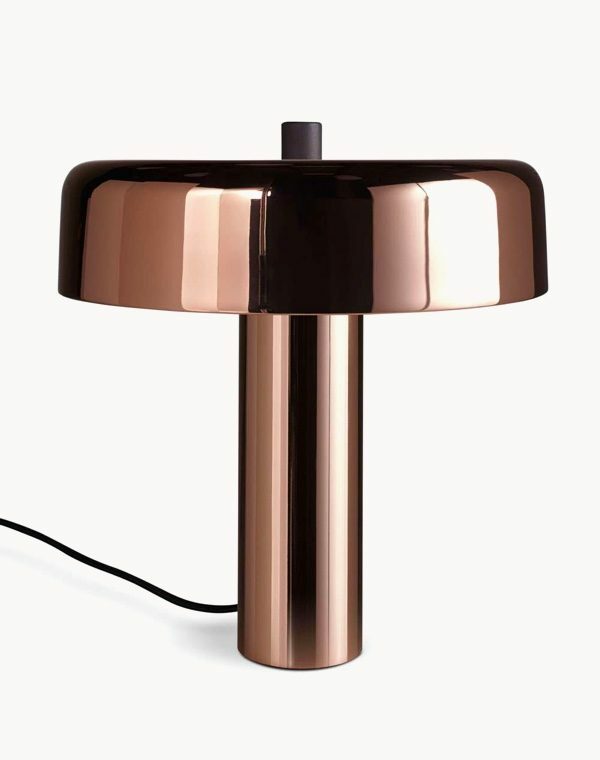 Tom Dixon Bell Table Lamp: Also available in chrome, brass and gold finishes, these plated and pressed-steel lamps bring high shine to your bedside. Designer Tom Dixon’s bottom diffuser and switch base dimmer help make the mood relaxing when it’s time to get sleepy. 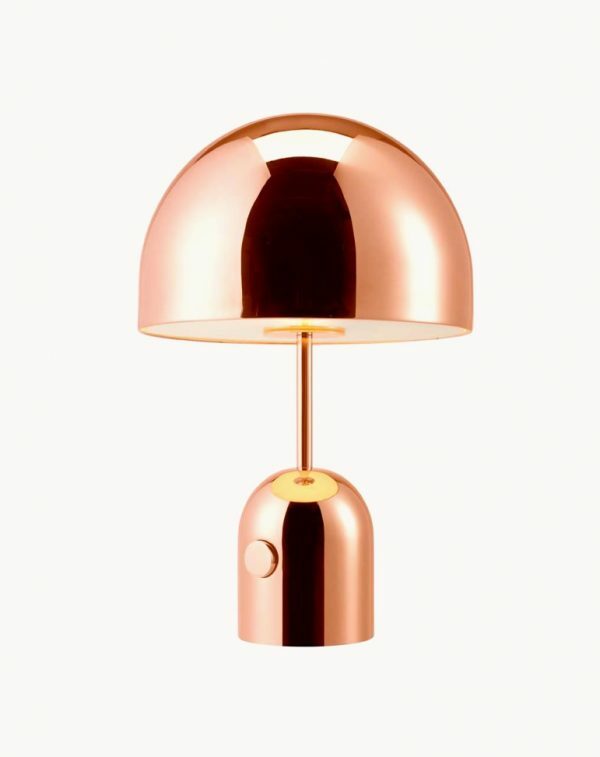 Replica Atollo Copper Lamp: Can’t afford the Tom Dixon price tag? Get a similar, more cost-efficient style with this copper – or white, black or gold – coloured table illuminator. 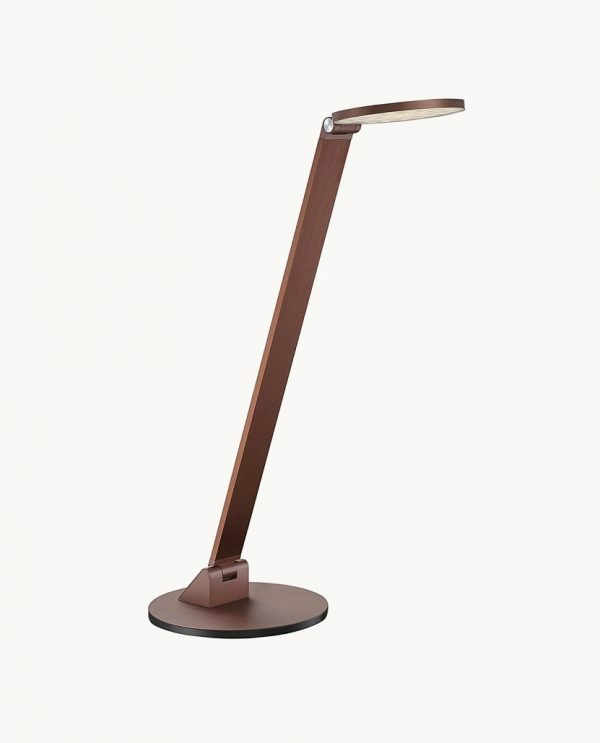 Contemporary Desk Lamp With Copper & Glass Base: Take a light trip in coloured glass. This artistic ombre creation sits on a bed of copper and under a shade of white. 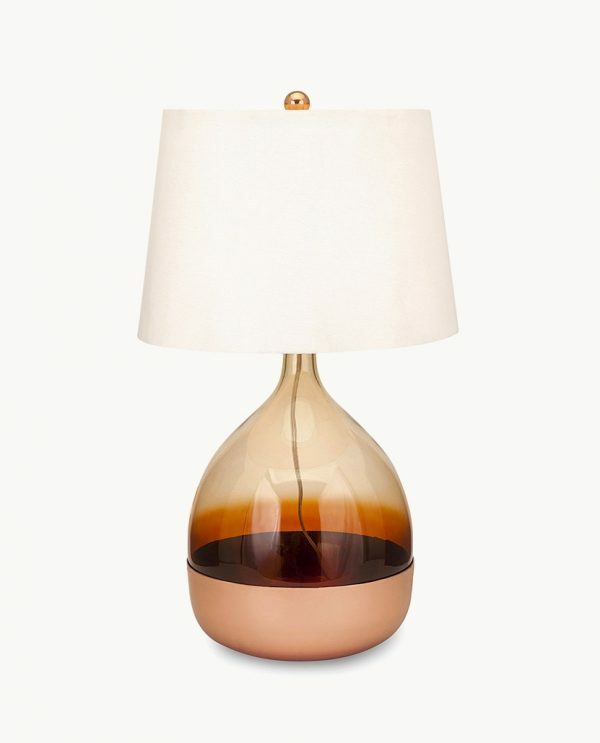 Copper Table Lamp With Translucent Shade: Don’t like the coloured glass and shade? Change them out for a full copper finish. A translucent shade lets you count the flickers before dreamtime. 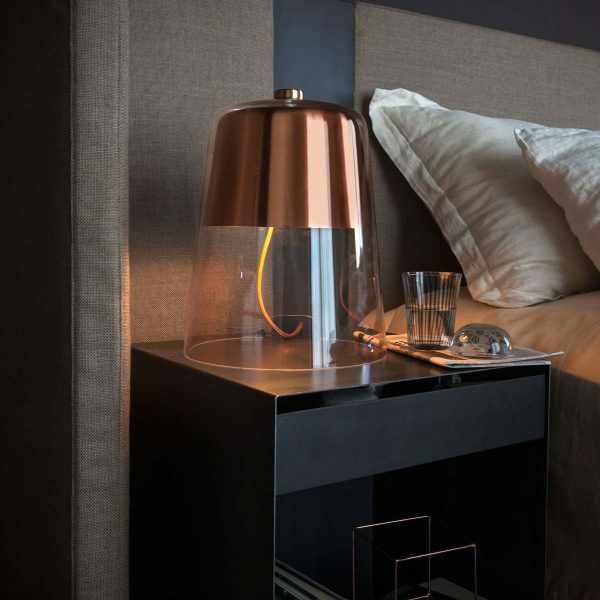 Contemporary Copper Lamp With Shade: Elegantly taper your base. Brushed in copper and using clear cording, set it amidst a light-hued interior for a classy finishing touch. Tonal Metallic Lamp Ensemble: Copper can complement your monochrome interior. Also available in a rose-gold finish, its white linen shade helps this statement piece sit pretty. 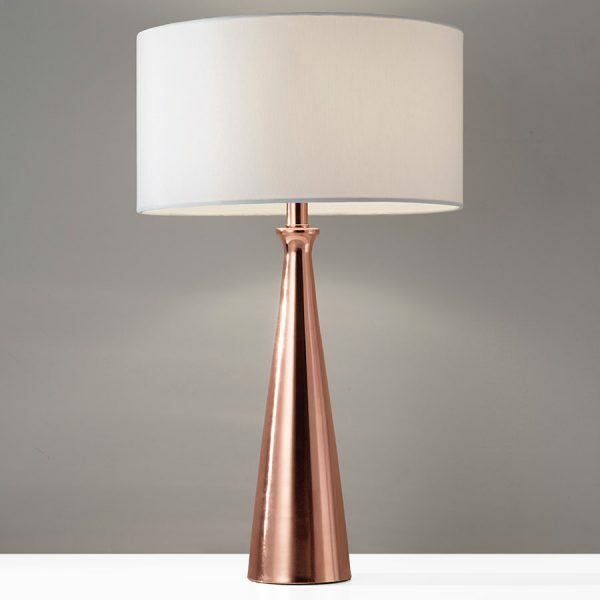 Copper Finish Table Lamp With Cylindrical Base: Find that copper’s not the feature? These lamps’ 60 watt pink bulbs add an element of surprise to your bedroom or modern nursery. 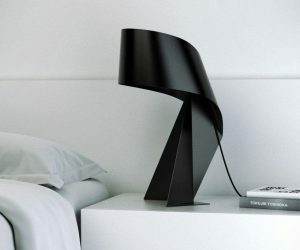 Semplice Table Lamp: Turn lighting trends on their head. These unique bedside table lamps give bell jars a new allure. Bonbon Disc Table Lamp: Make your bedroom or office space a little sweeter. Affectionately named the ‘Bonbon’, these clever metal and blown-glass lamps tilt their top shades up, down or to the side, directing their beam wherever you please. Get their small bodies in shades of brass or copper. 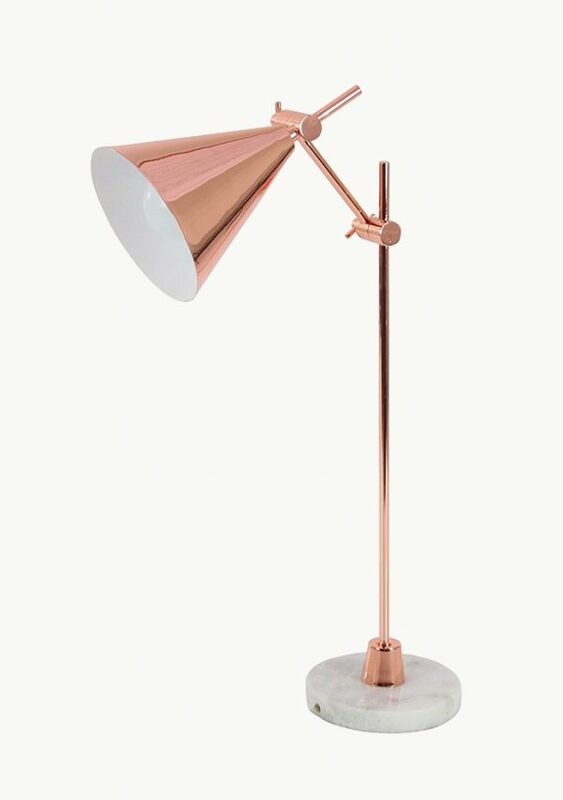 Height-Adjustable Copper Finish Table Lamp: Good looks don’t have to be static. 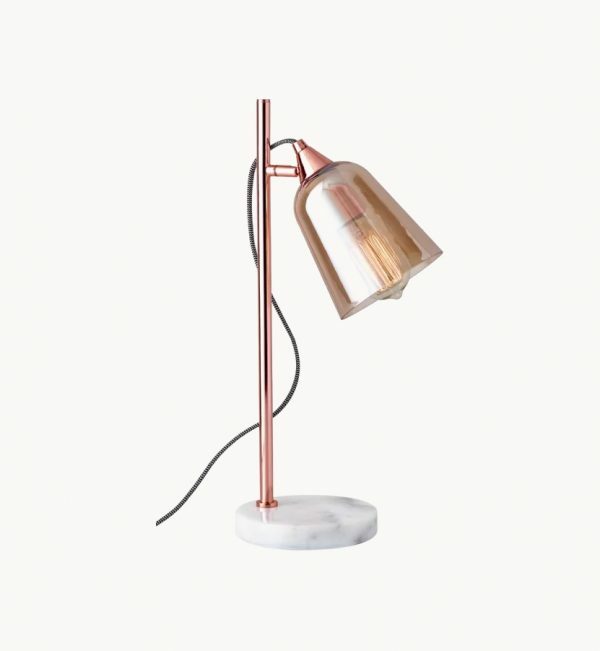 This copper-coloured desk lamp lets you adjust its height upon a round of marble. 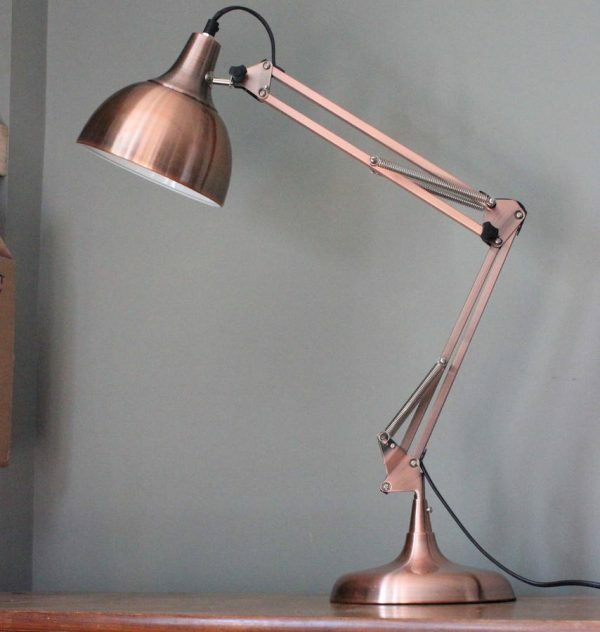 Copper Anglepoise Lamp: Achieve the perfect angle with this lamp made from copper. Extending up to 78cm, it’s the perfect companion for those hard-to-read documents. 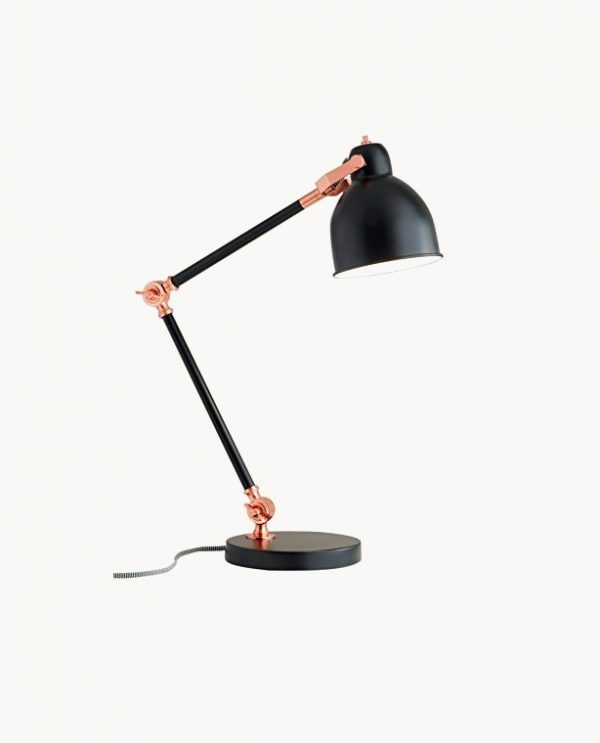 Black & Copper Adjustable Table Lamp: Don’t want it in full copper? This black version highlights its three adjustable points in our favourite metallic shade. 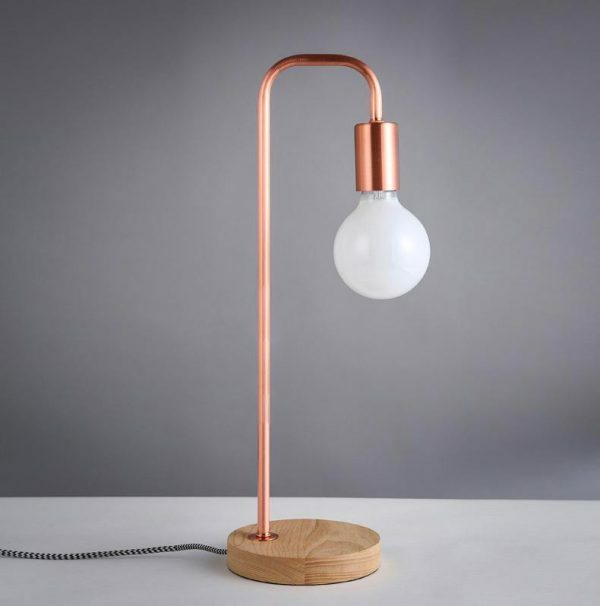 Simple Minimalist Copper & Wood Desk Lamp: Just want the basics? 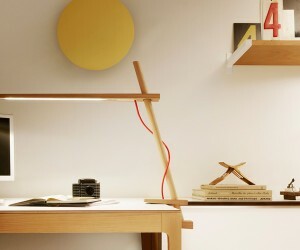 This one stem and stand desk lamp makes the minimalist aspirational. 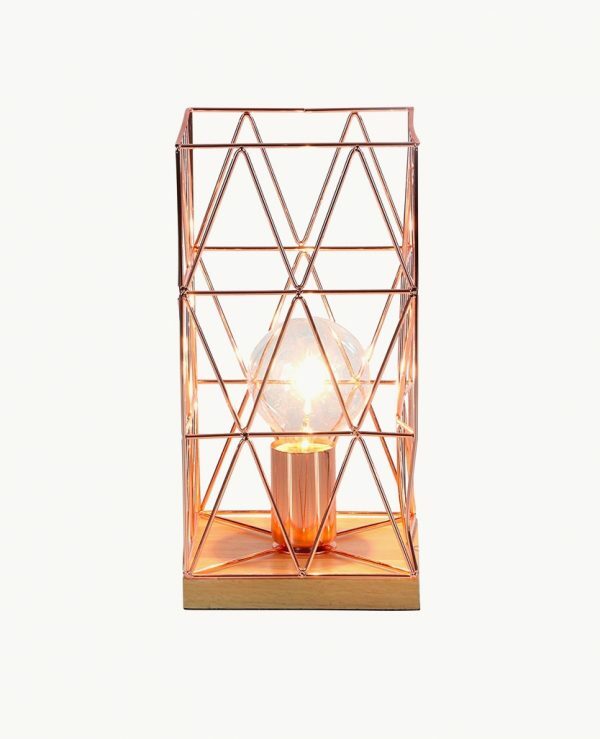 Copper Accent Table Lamp: Can’t get enough of interior geometrics? This copper wire lamp creates patterns upon your table, from its sturdy wooden platform. Eureka Table Lamp With Concrete Base: Find a lamp that’ll complement your industrial home décor. 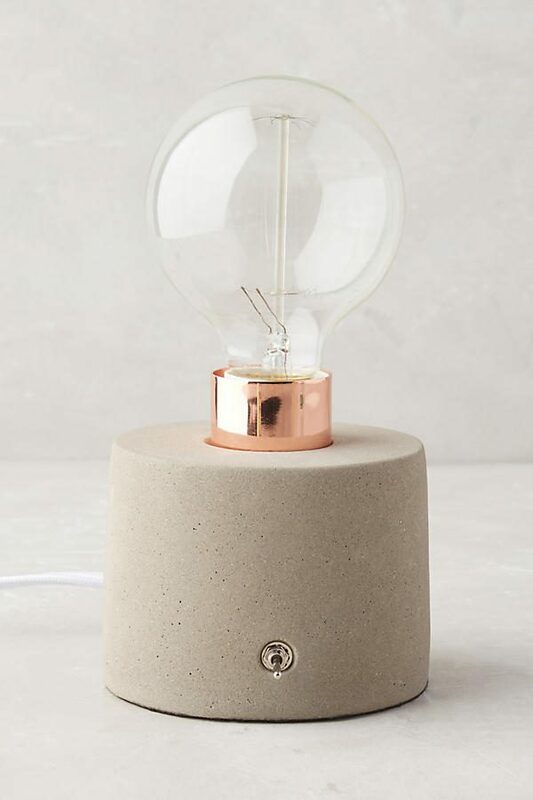 This concrete-bottomed light is the perfect mix between soft and practical, and comes with copper or brass light fixtures. Lightbulb not included. 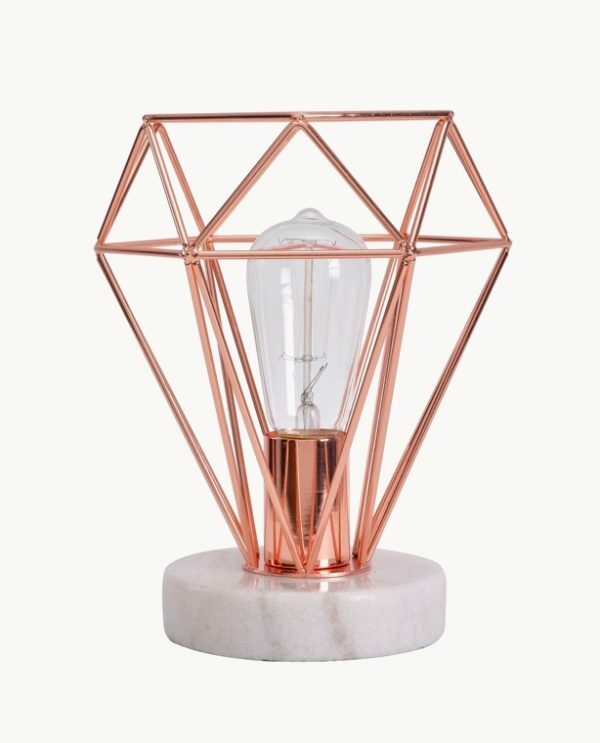 Diamond-Shaped Caged Copper Lamp: Shine bright like a diamond. 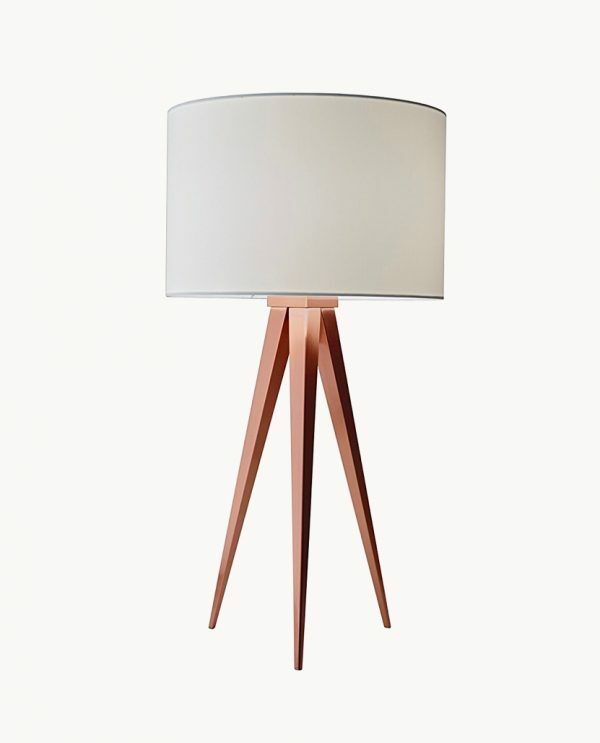 This made-for-your-bedside lamp bases its copper-coloured angles upon real white marble. Copper Accent Table Lamp With Marble Base: A combination of white marble, copper and glass, this pole-bound desk light is smart outlet-compatible. Stand it upon a dull office desk in need of visual inspiration. 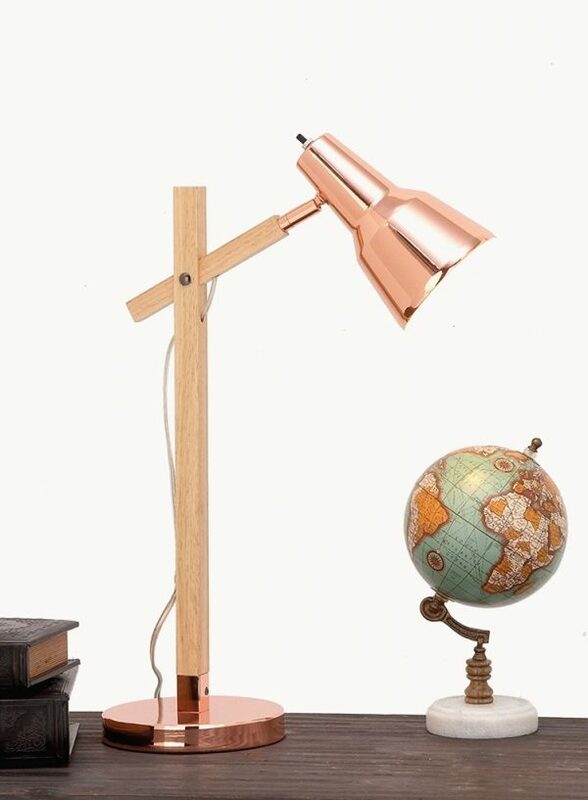 Copper Desk Lamp With Wooden Arm: Missing the wooden? This copper-topped and bottomed lamp uses wood as its strength and rotation point. A Scandinavian office could reap its aesthetic benefits. 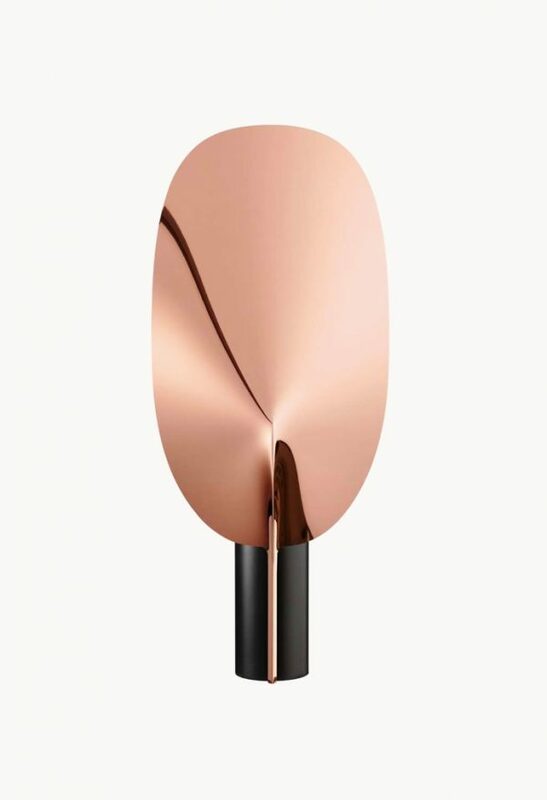 Brushed Copper Matte Finish Tripod Table Lamp: Love tripod cameras? Replicate the look with this copper-legged, white-shaded creation that hides its power socket from view. Decorative Tripod Table Lamp: House a lighting masterpiece upon your lounge or bedside table. These lamps fold triangular polycarbonate and polypropylene blades into a bird-esque creation worthy of your constant gaze. Vintage Copper Work Lamp With Pull Chain: After a more vintage feel? 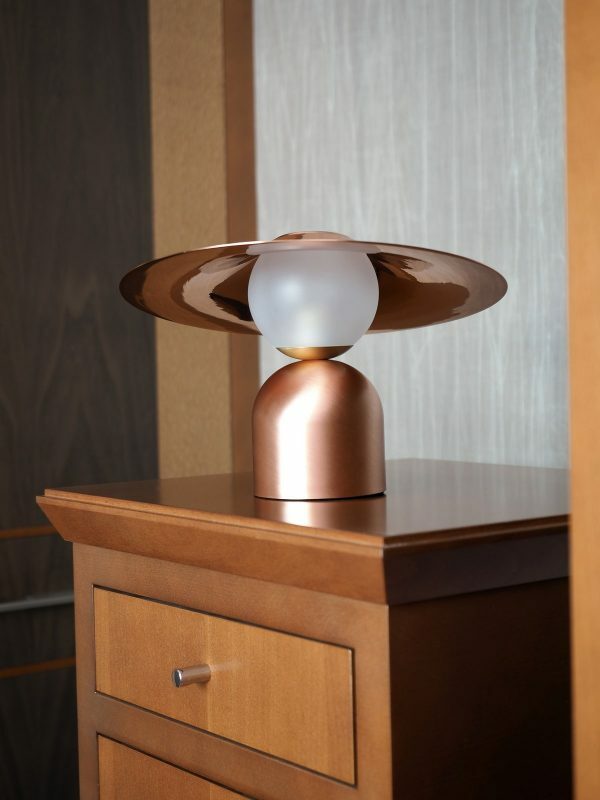 This creation blends a 50’s banker lamp with today’s more modern fixtures. A classic pull chain turns it on or off. Vintage Industrial-Style Copper Finish Pipe Table Lamp: Steampunk home décor fans can’t go past this fixture. Constructed from four pipes with a bulb in the centre, it’s the kind of light creative Victorians could dream of. 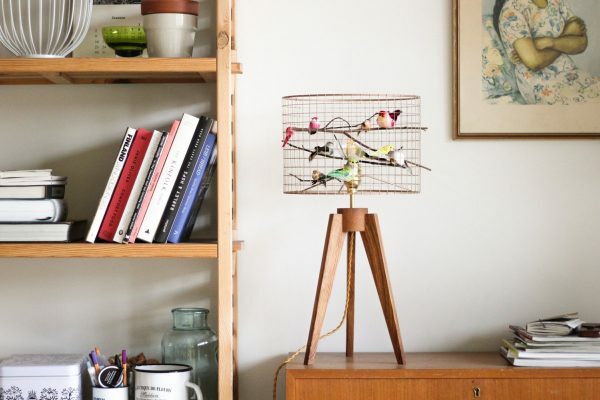 Copper Birdcage Tripod Table Lamp: Birdcages represent hierarchies of power. 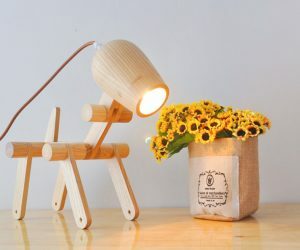 Harness yours with this handmade Estonian lamp on a tripod wooden base. Hand-pick the colouring and orientation of your birds to make your piece custom-made. 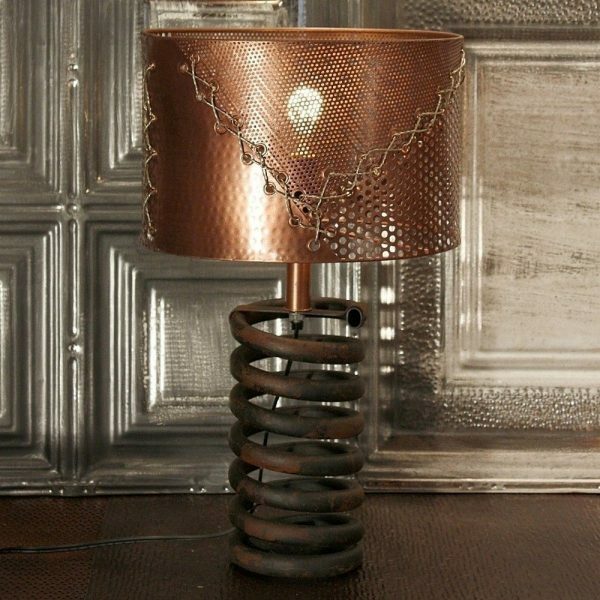 Steampunk-Style Spring Coil Lamp With Copper Mesh Shade: Love trucks? Love steampunk? This lamp could be the bedside companion for you. Using a truck’s metal coil as a stand, its hand-stitched copper shade is linked by grommets and metal wire. 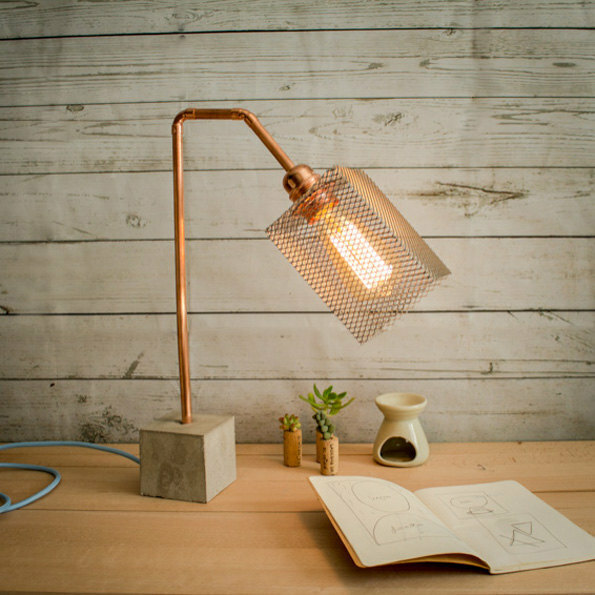 Copper Pipe Desk Lamp With Concrete Base & Mesh Shade: Don’t want your beam direct? Meter out its glow with this mesh shade atop a neck of copper. A concrete block ensures your latest ensemble doesn’t tip. 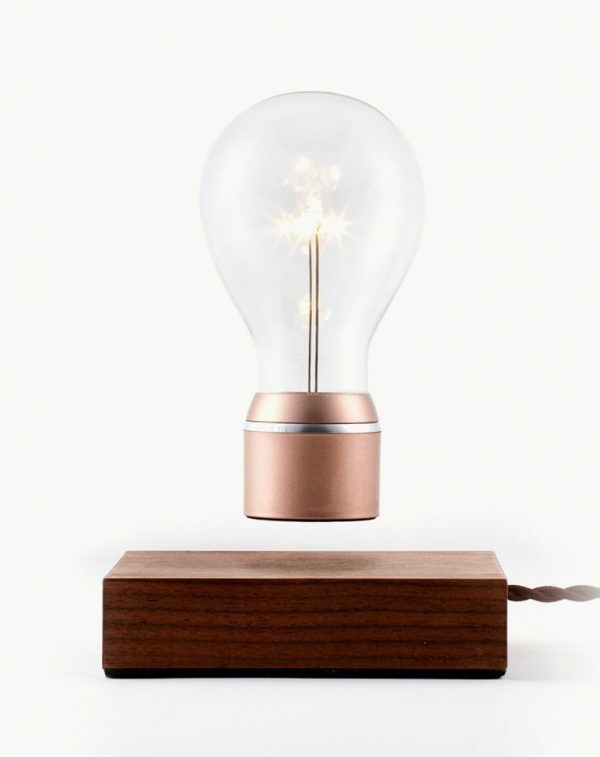 Flyte Levitating LED Copper Lamp: Want a lamp that’s pure magic? This levitating light is the gadget for you. Using magnetic levitation and resonant inductive coupling, see your bulb hover over a base of oak, ash and walnut. All wood is sustainably sourced, and no batteries are required.